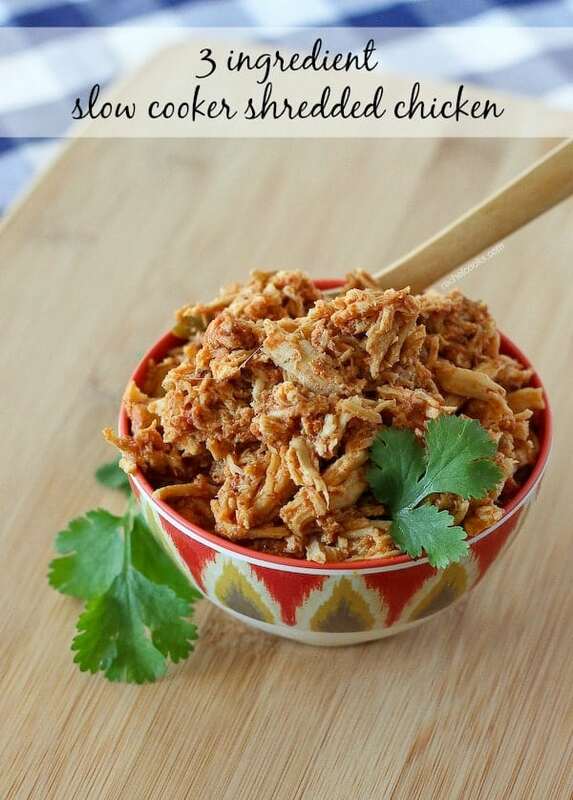 Slow cooker shredded chicken that only takes 3 ingredients. Easy, versatile and delicious. EASY. If you’ve spent any time at all on my little blog, you know that easy is my favorite word. Oh wait, no it’s not. POPCORN is my favorite word. But easy is important too. I need 2949044 more hours in the day to do everything I need to do so easy meals are very important to me. And slow cooker meals are also a lifesaver. Pop it in in the morning before work, before school, before heading to the zoo, whatever. Then when 4pm rolls around and you’re completely exhausted, dinner is already ready. But I don’t have to tell you the charms of a slow cooker — everyone knows they are awesome. Oh yeah, and it tastes great too. Clearly that’s of major importance. This recipe also uses my homemade taco seasoning which I’m beyond obsessed with. If you missed it, I threw it into some homemade flour tortillas on Monday. As I mentioned, one of the great aspects of this slow cooker shredded chicken is its versatility. When I made this, I did tacos for my family but I threw mine on a sweet potato with some other taco toppings. It was one of the best things I’ve eaten in the last couple months.I’ve also made enchiladas with it and quinoa bowls. This chicken is also a recipe that I love to make in large batches and freeze dinner-sized portions. Great for nights when I don’t have a clear plan in mind for dinner. I can take a bag of this chicken out of the freezer and use it for tacos, enchiladas, nachos, or loaded sweet potatoes. Whatever my fridge, pantry or stomach dictates. Combine all ingredients in slow cooker. Cover and cook on low for 7-8 hours or until chicken is tender and cooked through. Shred using two forks or a potato masher. Cook for another hour on low before serving or freezing. Verdict: So good! 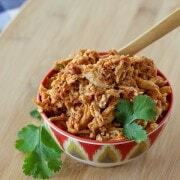 This slow cooker shredded chicken is definitely a great go-to recipe. Changes I would make: None are necessary, but it is on the juicy side, so you could drain some of the liquid off if you wanted a neater chicken for tacos or nachos. 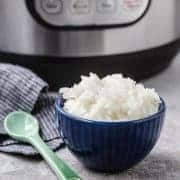 Can I make this chicken in an Instant Pot? I do, no less than once a week! 10-12 minutes depending on size of the chicken breast, quick release. Enjoy! Hi…how much is 48 oz in grams n kilos? Do you put the chicken in the crockpot frozen? I want to make this for a family fiesta we are having this weekend. Either way! If you put them in frozen, you might need to increase cooking time slightly. Hope you love the recipe! Have you tried this with thighs? My husband is pro thigh and anti breast. That didn’t come out right…. I’ve done similar recipes with thighs or a combination of thigh and breasts and it turns out great! Shouldn’t be an issue. You can always drain some fat/juice out if need be. Thank you so much for your help. They turned out great! I love this! 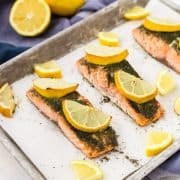 Easy, versatile, and freezer-friendly? Yes please! This is totally pinned and I’ll be making it very soon. This so easy, that it makes me suspicious. Aaaaah just kidding. I like tacos. Everyone pretty much makes their own dinner. No complaints. They can tailor it to fit them completely. You are so correct about the number of hours in the day. Daylight savings time is such a misnomer. Heaven help me, if I only did things during the daylight hours. With that restriction I would certainly be up the proverbial creek. Yum yum! Love how quick and easy this is, Rachel. 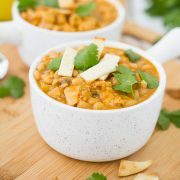 And there are so many options for using precooked, shredded chicken you already have on hand! Everyone needs a recipe like this in their back pocket! Love. hmm, I may make this for dinner tomorrow! 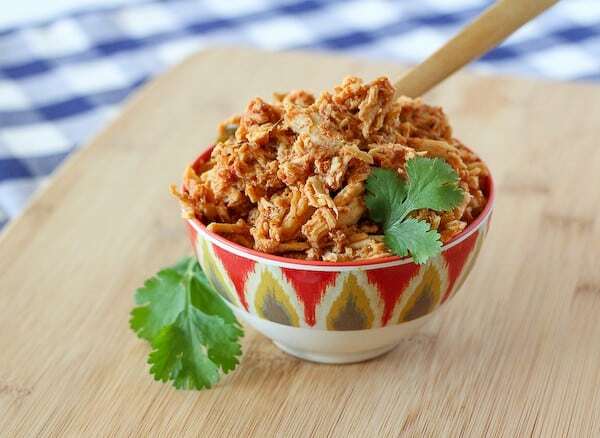 I totally make chicken with salsa in the crock pot all the time, but never thought to add taco seasoning, love it, will definitely try that next time! The photos are so gorgeous, I’d like some of it right now!! i made a similar recipe from another blog it was phenomenal..i like the idea of adding taco seasonings on this. Brilliant recipe- love shredded chicken tacos- so good! I love making a pot of shredded chicken. It’s ridiculously easy. Thanks for recipe! Yes, this is definitely easy and perfect for cinco de mayo. I always refer to mine as the “magical crockpot”! Pinning Rachel! POPCORN is my favorite word too! I’m totally obsessed with it. and EASY. I love these tacos? 3 ingredient meals are my love language! Pinned!